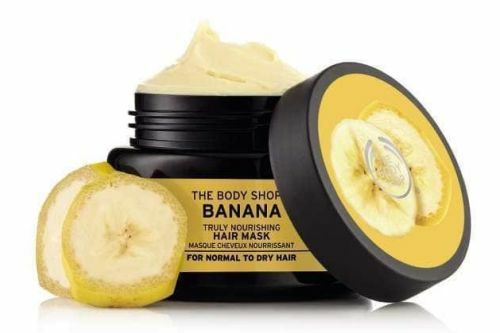 When was the last time you visited The Body Shop? Last week? Last month? Twenty years ago? But when I inevitably grew out of my 90s combat trousers and butterfly hair clips for some reason I grew out of visiting The Body Shop, which I left behind with my Take That tapes (yes tapes!) and said butterfly hair clips. It was only when I was invited to attend a #TheBodyShopVIP blogger event at the Brighton store that I stepped into The Body Shop for the first time in more than 20 years. And do you know what? I’ve fallen back in love with The Body Shop. And it’s not just because I was handed a glass of prosecco as I walked through the door. It turns out that although I left The Body Shop behind with my combat trousers and my Take That tapes The Body Shop didn’t leave actually leave me behind. Sound bonkers? Let me explain. As a working mum of three I don’t get much time to myself, and gone are the days when you’ll find me make upped and coiffed on a daily basis. Unless I’m filming or going in front of a camera you’re more likely to find me bare faced and sporting a trusty mum bun than made up as I was in my pre-baby days. What I liked about what I found when I stepped through the doors of The Body Shop 20 years on (other than the aforementioned glass of prosecco, of course) is products designed to take care and nourish you. Products my three-times mum tum, breastfeeding deflated décolletage and sleep deprived skin could desperately do with. 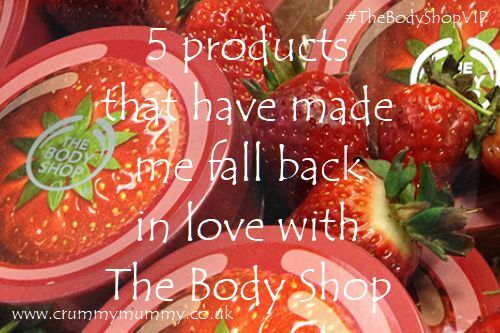 There were five products in particular that caught my attention – five products that have made me fall back in love with The Body Shop. After five pregnancies, three babies and a combined five years breastfeeding and counting it’s fair to say my hair is not what it once was. Except it is following just one go of this once-a-week treatment made with organic banana puree from Ecuador and Brazil nut oil from Peru. It says it’s truly nourishing and it really is – I’ll be slapping this stuff on in spades. If you’re a regular follower of the blog you’ll know I don’t get much sleep owing to the fact I’m breastfeeding. This means I’m Gollum-like when it comes to anything which even vaguely promises to rejuvenate my sleep deprived skin. 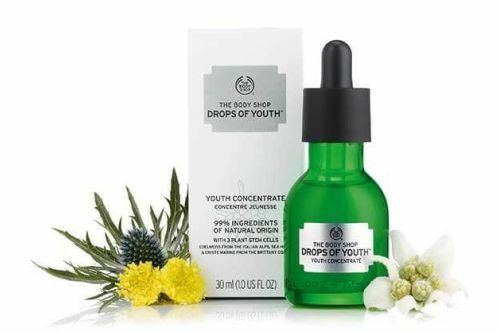 This concentrate (think gel and serum in one) is made with three different plant stem cells to replenish lost moisture – to be honest I was sold on the name alone. These look like crayons and well, they sort of are. I rarely wear lipstick around the kids as the chances are I’ll end up with it smeared across my face – and they’ll end up with it smeared across theirs from all the kisses you can’t help but dish out. 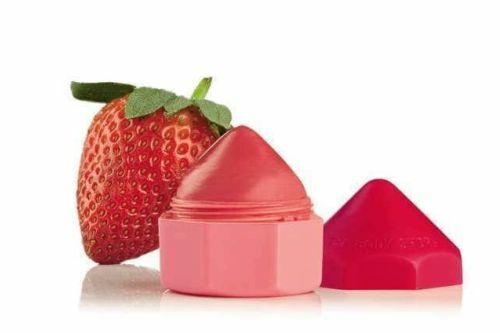 These fruity balms are a sort of in between made from shea butter, marula and olive oil in shades including strawberry, pomegranate & aloe and kiwi, kale & watermelon. Who says you shouldn’t use soap on your face? 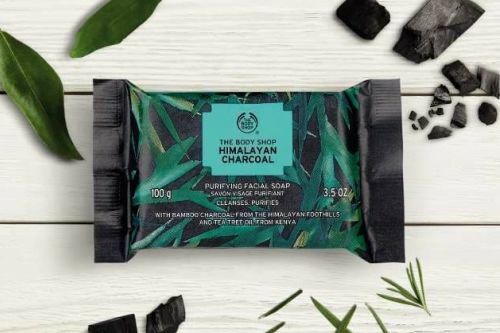 Made with bamboo charcoal enriched with tea tree and eucalyptus oil (known for their purifying properties) this soap promises to reduce excess oil in the skin, something I’ve always battled with. At £4 it’s waaay cheaper than a cleanser, plus proceeds from each sale go to helping the Red Panda Network save endangered red pandas in the Himalayas. 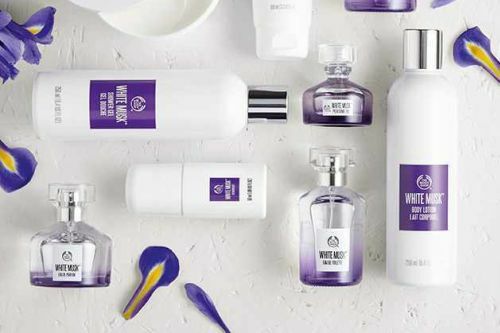 Dewberry might be no more but White Musk is the next best thing (it’s a registered trademark and everything). If you were a Body Shop fan in your teens like me it will transport you back to your youth, plus you’ll be left with silky-soft skin. Did you used to love The Body Shop when you were growing up? Have you rediscovered it in adulthood like me, or have you always been a fan? I’d love to hear your experience! 5 baby items I use for me! The lip juicers look amazing! I mught have to try the charcoal soap too. OOO you’ve sold it to me. I used to shop there when I was younger but I find it really expensive and intimidating whenever I’ve walked into a store lately so I’ve left. I much prefer Lush. They are so friendly. I know Body Shop are friendly and it’s just me feeling scared I can;t afford anything and getting tired of seeing fab things and not being able to afford them.